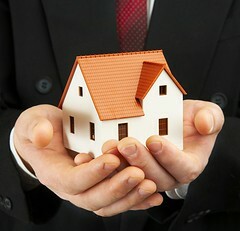 Image by thinkpanama via FlickrWhat is the Biggest Mistake Made by Home Sellers in Today's Real Estate Market? Today I read that I may be making a BIG MISTAKE as the seller of my residence in today's Real estate market. While this is not something I have spent a great deal of time thinking about, (but will now), my reaction was "shocked" thinking that this was already common knowledge? Sellers and Agents, what would you do in the case of a lowball offer on your property? As a home seller, maybe you weren't aware that's there one huge mistake you may be making. If that's the case, I want to show you how to correct that mistake and get all the money you deserve from your property! Okay, what's the biggest mistake made by sellers in the current real estate market? The answer may surprise you. By far, the biggest mistake is... Not making a counteroffer on purchase offers you deny! It's one of those things that's so simple and so obvious that we tend to overlook it. Let me explain why counteroffers are so important. When a buyer comes in with a low price, many sellers get insulted and automatically cross that buyer off the list. This is a HUGE MISTAKE! Here's the "nitty gritty" of any home transaction: the buyer wants to pay as little as possible while you want them to pay as much as possible. That's why they call it "negotiating." So, remember, counteroffers can be a great way to sell and buy a home. You want an experienced pro who knows all about negotiations and counteroffers. In this situation, you definitely need a true professional, someone who's preferably done a number of successful deals. Now I may have been born in a barn, and maybe even left the door open a few times, but is this the message needing to be sent out to a seller in today's market? I'm not sure what to believe, the fact that 1) there might really be sellers out there who need to know and implement this advice, or that 2) there are Agents out there who would not already be advising their clients of this very obvious concept and scenario?! ?